Description: Asian food assortment. 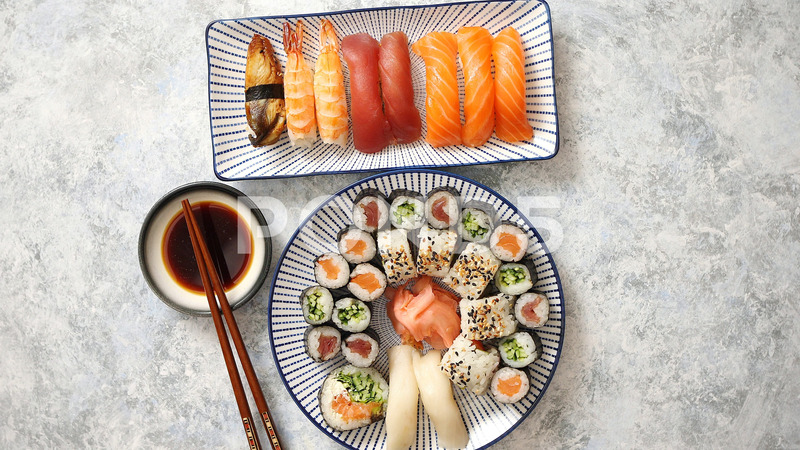 Various sushi rolls placed on ceramic oriental style plates. Soy souce and chopsticks on sides. Grungy dark background with copy space.